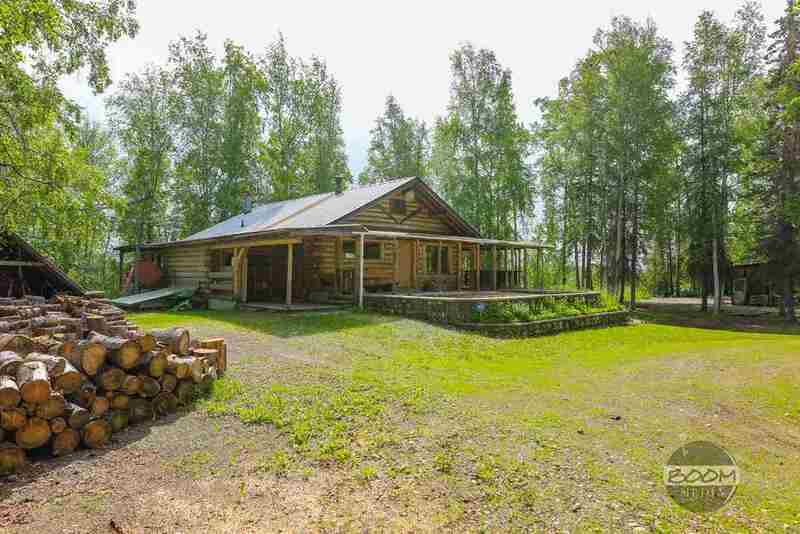 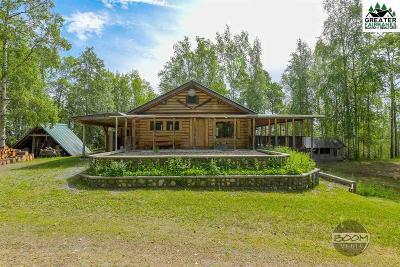 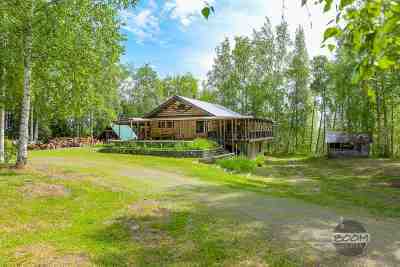 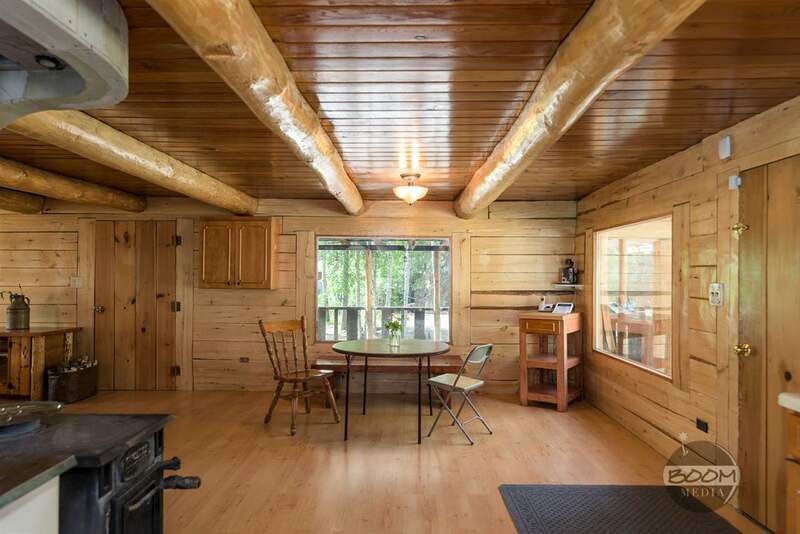 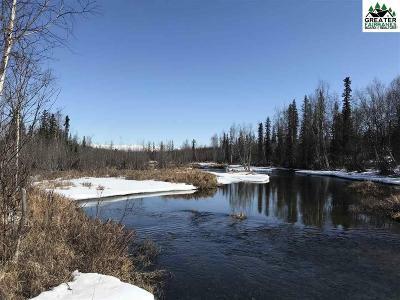 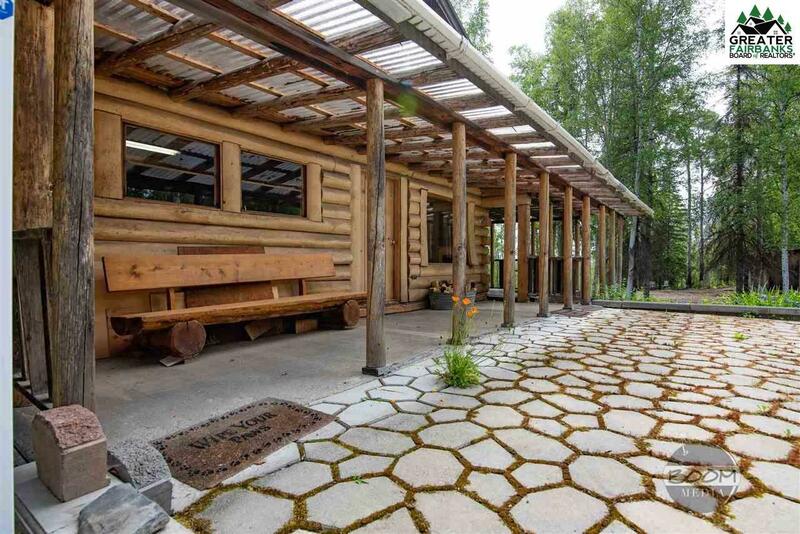 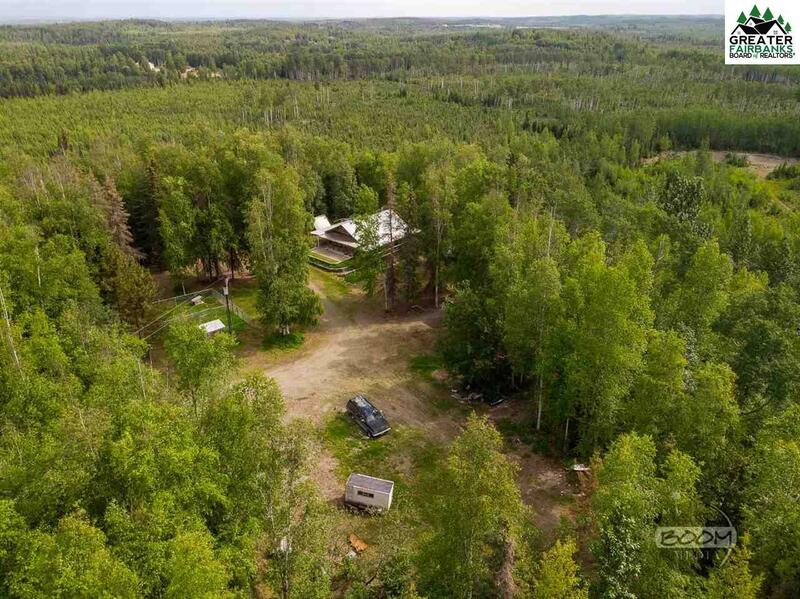 Rare Opportunity to purchase a Beautiful 4 Bedroom, 2 Bathroom Log Home on a 160 Acre Homestead located in the Big Lake area with a View of the Chugach Mountains and Fish Creek running through the Property. Home a Large Covered Deck area on three sides and Boast has 3 living area levels. 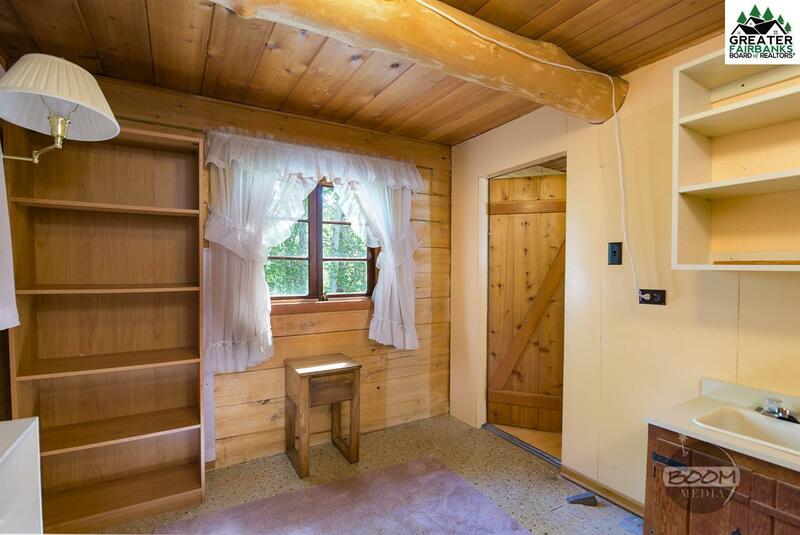 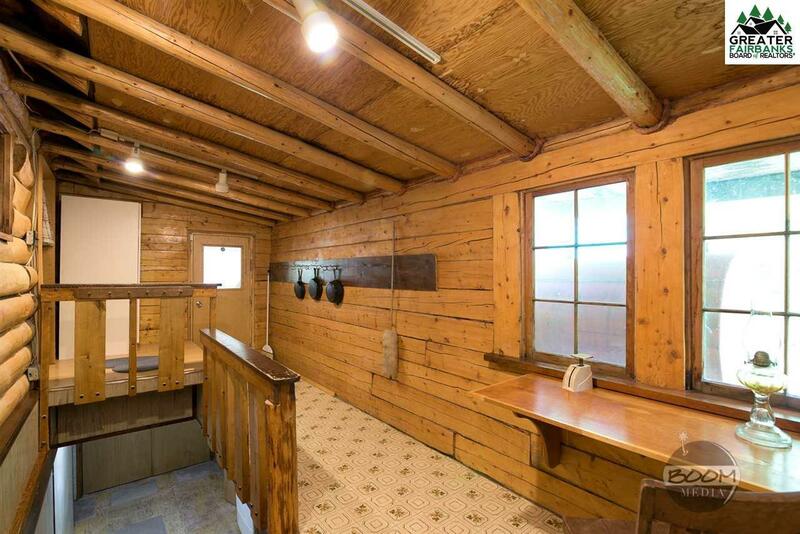 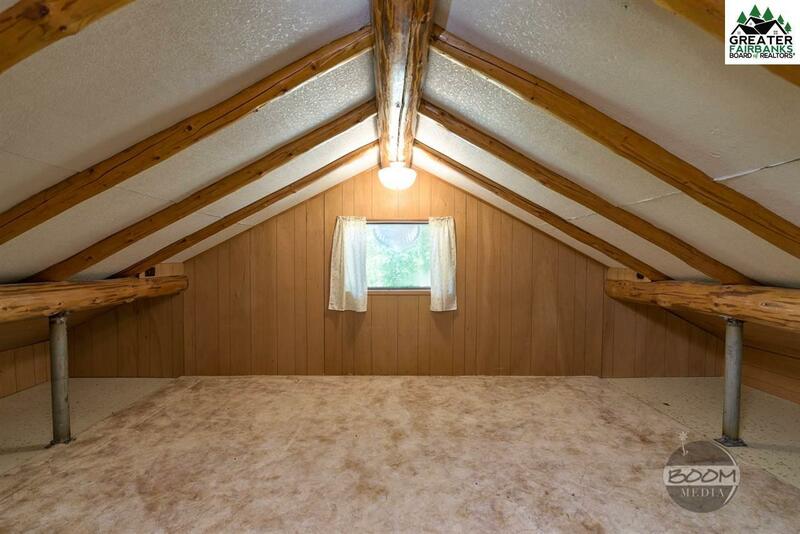 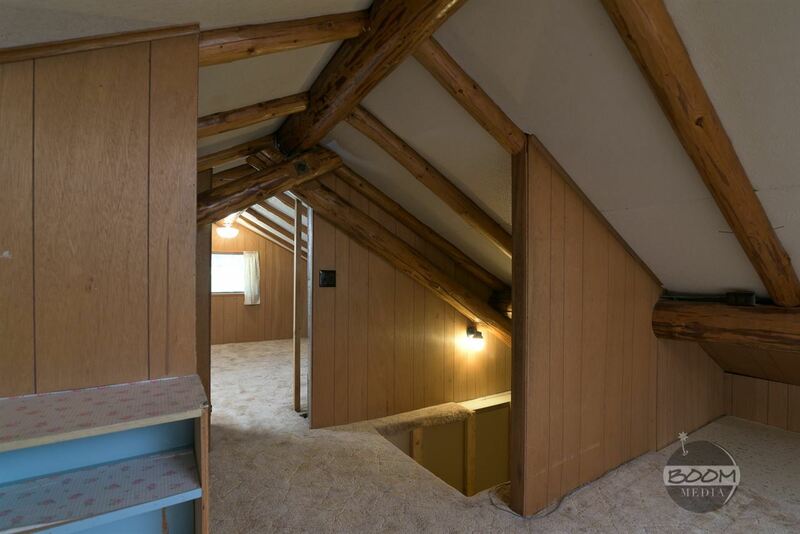 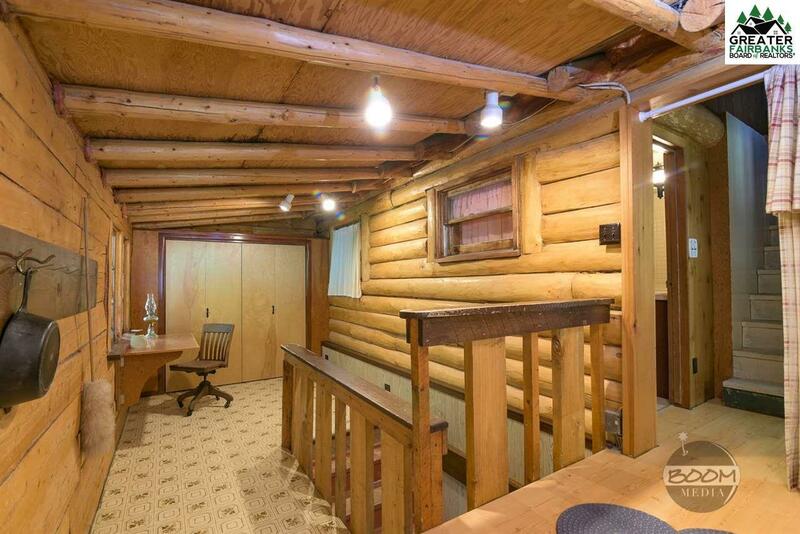 Upstairs includes a landing and two Loft Style Bedrooms with Open Log Beam Vaulted Ceilings. 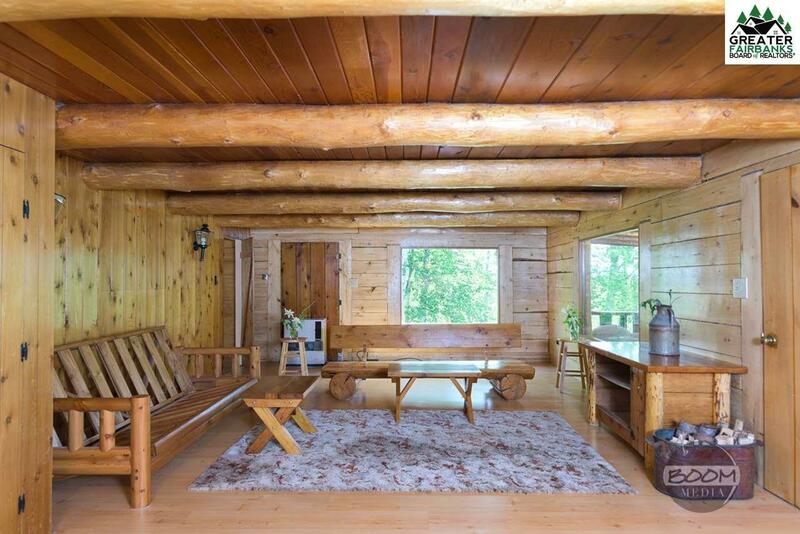 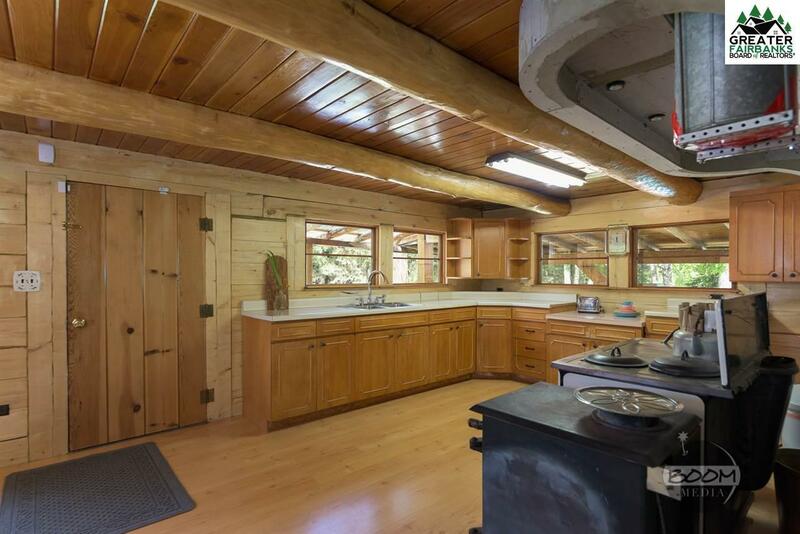 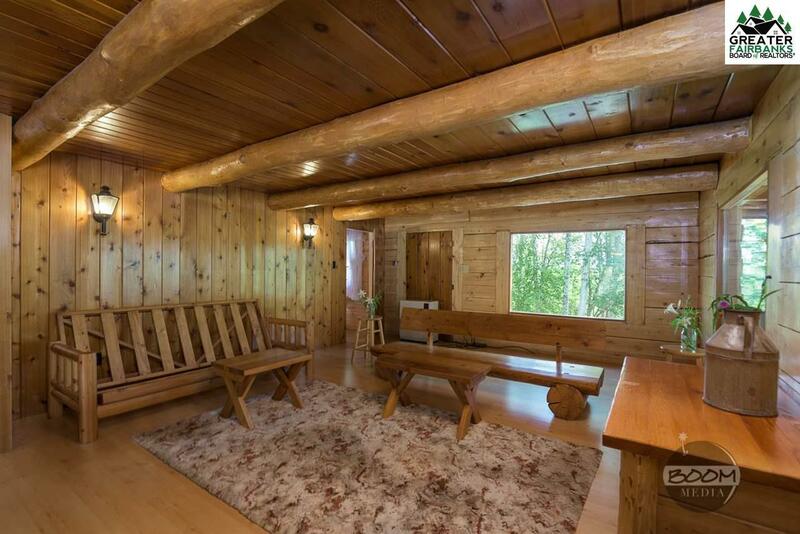 Main Level has an Open Log Beam Ceiling with a Large Open Floor Plan that flows from the Kitchen through the Dining Area and into the Living Room. 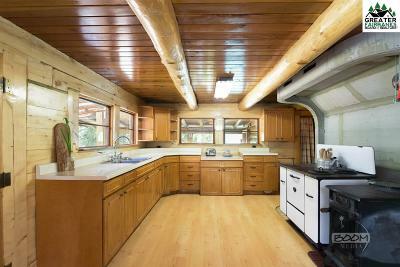 Open Kitchen has a Center Island along with an Electric Cook Stove/Range and a Wood Fired Cook Stove. 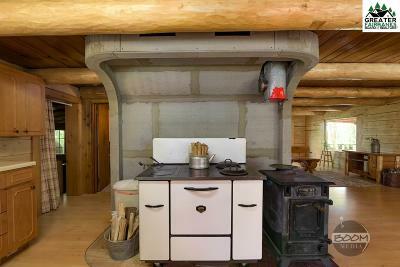 Main Level also has a wood stove and Toyo/Moniter oil stove for Heat, a Bedroom and a Full Bathroom. 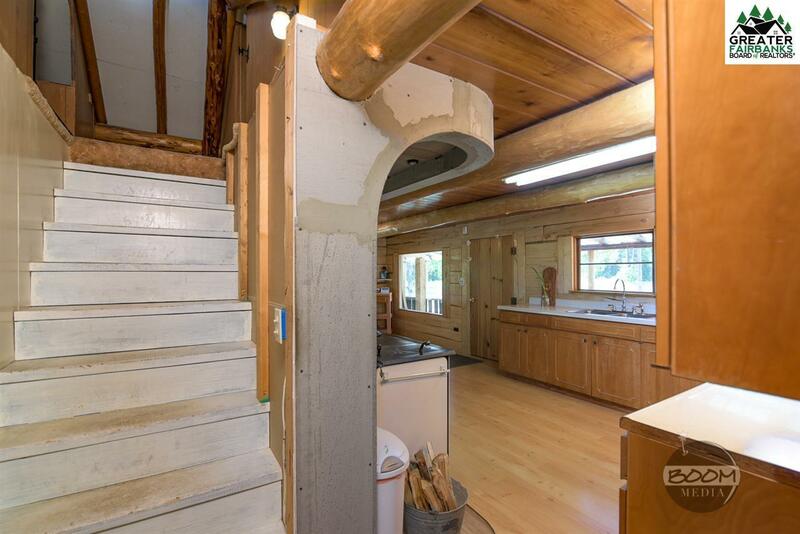 Main Level includes 3 Entrance/Exits, One from the front Covered Deck area into the Kitchen/Dining Area. 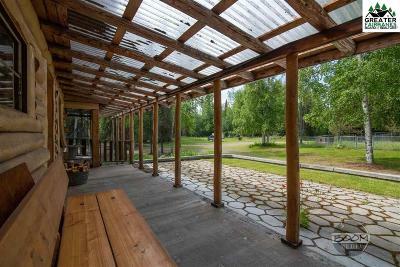 Another entrance from the Large Side Covered Deck area into the Living Room and an Entrance from the Side Covered Deck area into the Arctic Entry/Pantry area. 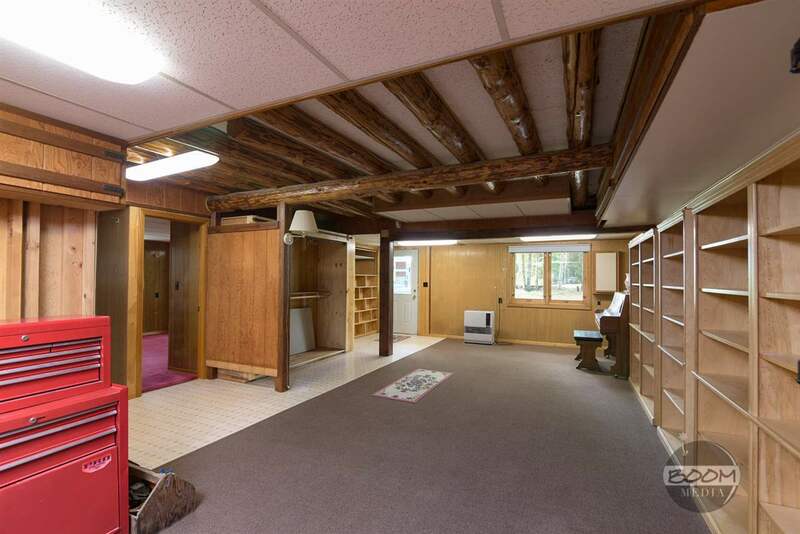 Arctic Entry/Pantry has the Stairs leading down the Lower Pantry, with a Root Cellar, and access to the Lower Walk Out Basement area. 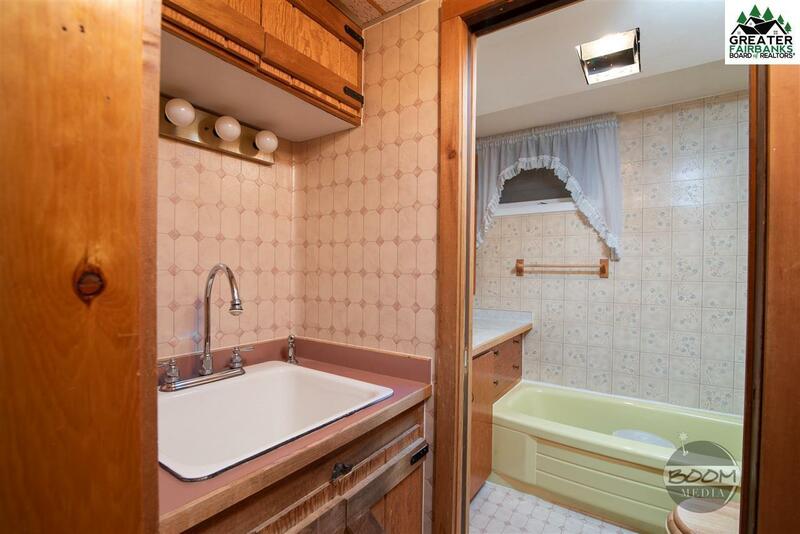 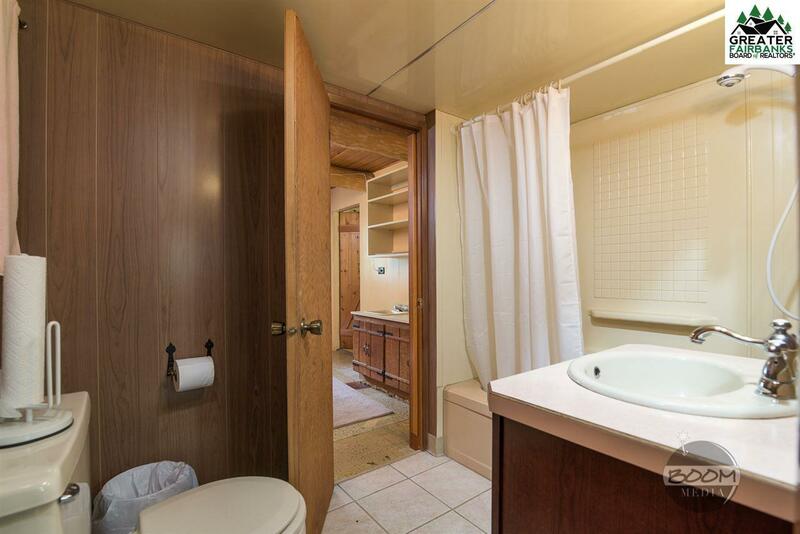 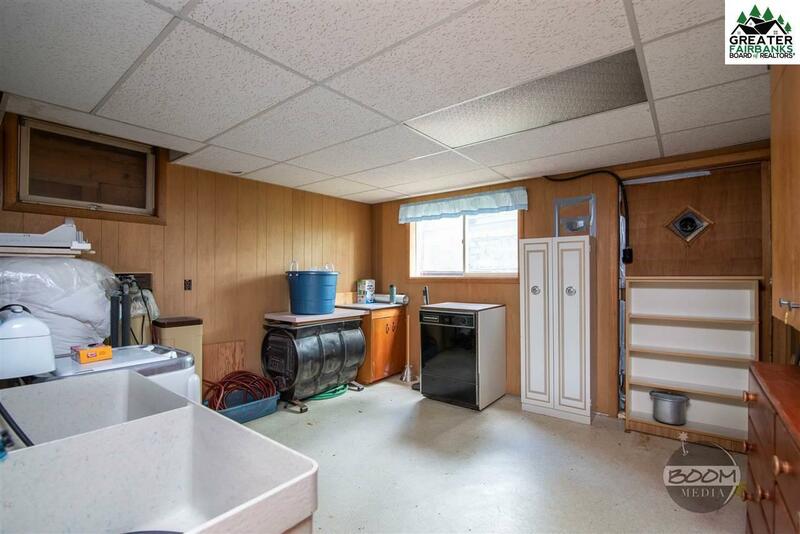 Lower Basement area has a Full Bath, Laundry Room, Family Room and Large Bedroom/Office area with two access doors. 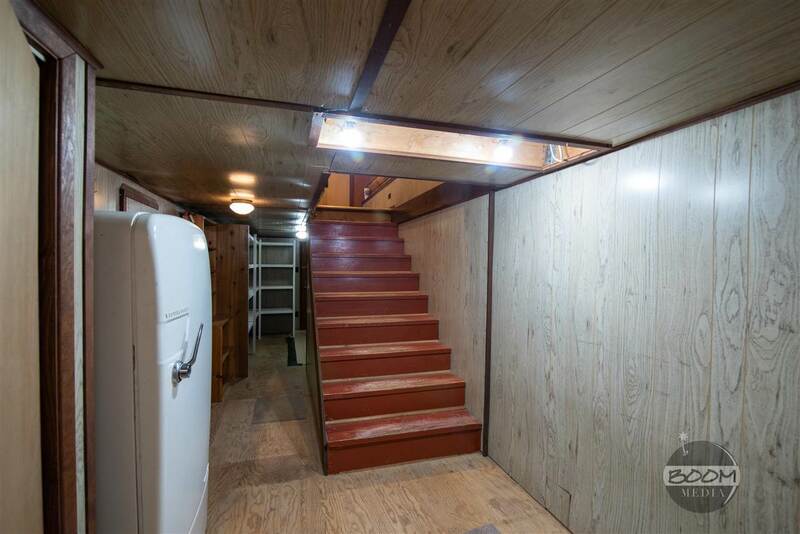 Downstairs also has its own Separate Entrance/Exit to the side yard. 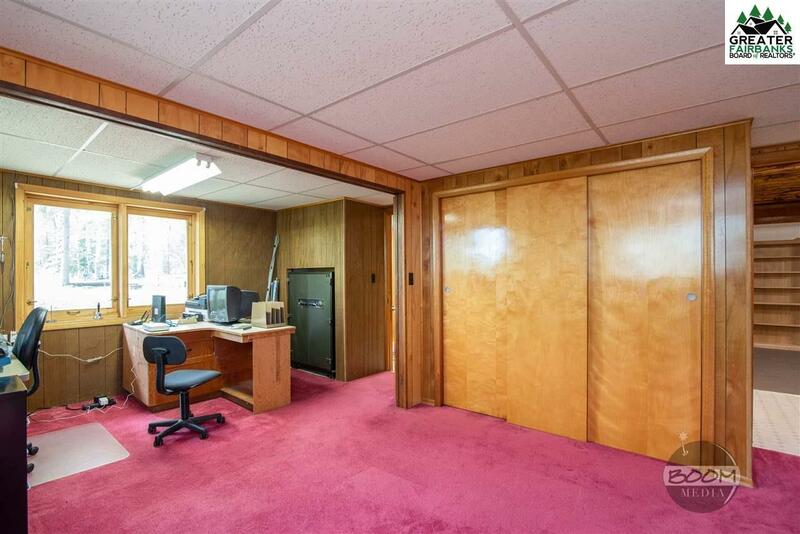 Property also includes a separate Large Covered Open Storage Area connected to a Large Work Shop/Garage.